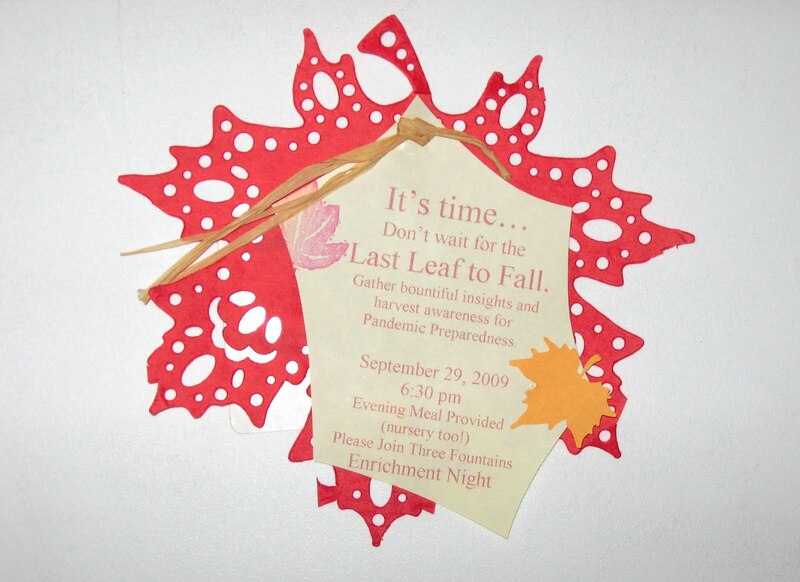 In the fall, I created these invitations to a church function for the women. They turned out really great! I used a doily, a leaf punched out of yellow and a rubber stamped image of a leaf. They are tied on with raffia.